Presentation tools are of great importance when evaluating which affiliate network to join, especially in niches where images are a major factor in converting readers into customers. 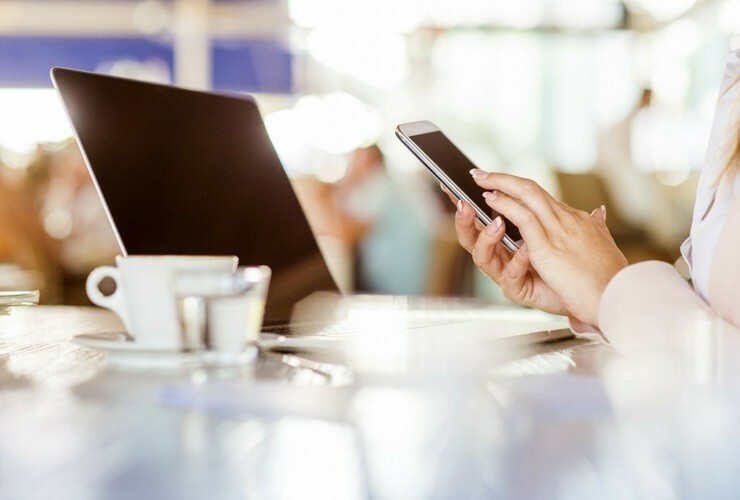 Although, for digital products, you can get by with only incorporating affiliate links into text, that is not the case for lifestyle related items (clothing, hotels, food, accessories, beauty, wellness and fitness). A picture is worth a thousand words, so you should take advantage of images wherever possible. The incorporation of image related tools, such as Shop the Post widgets, can improve readers' interaction and engagement with your site. Images can be integrated in your blog posts as a carousel, on the sidebar, on Instagram Shop-tab, and more. Today, whenever you see a Shop the Post widget on someone's site, they are usually using either RewardStyle or ShopStyle as they are very popular in the fashion and beauty blogger community. You might have also seen a carousel showing previous posts, which is an available feature by WordPress. But now, using VENNDY’s tools, you can start adding Shop the Post widgets to your blog or websites from the very start, no matter what your niche is or what platform you are using for your blog. You can add the widgets even before you have enough traffic to be approved by RewardStyle or ShopStyle, and you can use one or more affiliate networks for beginners as well as incorporating products from independent, in-house managed, affiliate programs. You can earn commissions via attractive carousels and links to merchant/retailer sites. It’s a great way to earn affiliate income while blogging. Are you looking for ways to make money blogging? If you are looking for ways to make money blogging or earn income from your Instagram or Pinterest, you should consider using affiliate marketing, and the sooner you learn how to do it, the better. Affiliate marketing has been voted one of two top sources for making money by publishers. If you are new to affiliate marketing, make sure to check out our Affiliate Marketing Guides and our post about Affiliate Marketing – Best Practices: Are You Ready To Join? 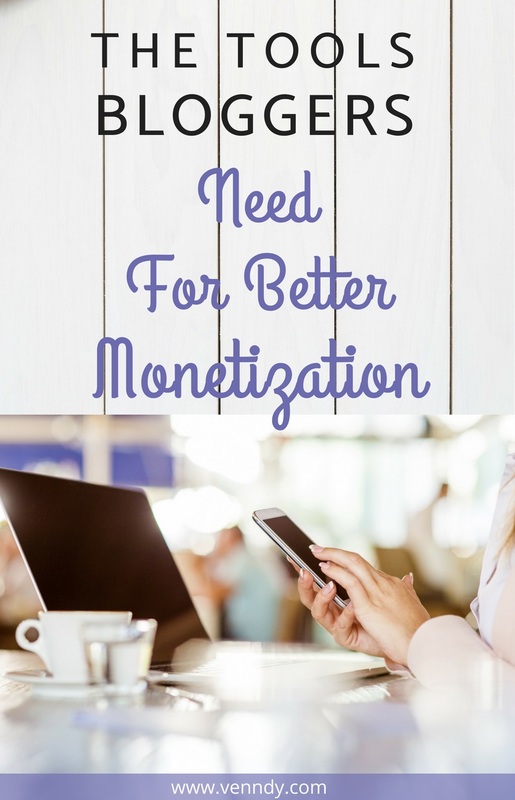 Why do you need new tools to help you monetize better? VENNDY was built based on my own search for software tools to help me link products and places I mentioned in my first blog in a shop-style manner. I was looking to incorporate affiliate links in images and not just in text. I wanted readers to have the option to save or add the items to their wish list for future reference. Since fashion was only a small part of my content, RewardStyle was only a partial solution, even if I had had enough of a following to even think of applying. I did not like the idea of compromising by working with only one program and giving up the opportunity to work with others including independent programs. Based on what I had read about other bloggers’ experiences, in-house programs were a better source of income for beginners because of higher commission and conversion rates. I was exhausted from managing all my social media accounts in attempts to drive traffic to my blog with very little success and with NO monetization strategy!! How frustrating it is to work so hard and with ZERO reward! Can you relate to that? So, I started building VENNDY to address all of these challenges. I was also looking for the answer to one more question: how well do these Shop the Post carousels convert? Are they "nice to have” or do they indeed drive sales? As readers today are more likely to scan a blog post than actually read it, images play a big part in catching readers’ attention. Even when you decide to have affiliate links embedded in the text, a carousel with the products discussed can be super helpful. With VENNDY’s widget, you can also help readers like and save items for later. How can good affiliate marketing monetization tools help you convert your content better? Do you want to add Shop the Post widgets to showcase the products discussed in your blog posts? Readers can then click on the images of the products, places, or services you mentioned and either first read a more specific review and then visit the source site to purchase the item or be immediately directed to purchase the item. This way you don’t have to rely only on affiliate links inserted in your text, but you can create an easier and more dynamic way to navigate presentation using affiliate links. Do you want to extend your content lifespan by encouraging readers to save your recommended items to a wish list they can create with VENNDY’s tools? Do you want to keep the look of your blog consistent by using the same shopping widget while also suggesting products and programs from different affiliate networks? Do you want to create a blog post shopping carousel with clickable shoppable products that are not necessarily affiliate related? This can be a link to your own blog post, one of your old posts, your Instagram post, or an interesting article. Anything online could work. Do you want to have the option of creating timeless content that will be enriched with changeable items added periodically via a shopping widget? Do you want to continue hammering away, creating diverse content for promoting on different platforms? Wouldn’t it be better to curate a recommendation just once and then promote it across all channels? And lastly, are you the kind of blogger who wants to keep all their options open and prefers full control over the affiliate programs joined, the commission earned and negotiated, and the content to promote on their blog? Which affiliate marketing tools can help you monetize in 2018? VENNDY’s tools were designed to help bloggers and influencers to build the foundation for monetization with affiliate links from the very beginning. You can start with affiliate networks and programs that accept new bloggers and then add items and recommendations as you grow and as new programs and options open up for you. To read more about VENNDY, check out the GET STARTED tab. For a full tutorial on how to use the tools, check out the TOOLS tab. For now, here is a short explanation of the main advantages. The LinkCollector creates Item Pages for items you want to recommend and promote with or without affiliate links. Items can include your own blog, a product, a service, a place – anything! It allows you to easily collect any content from the web and use it as needed to create a rich and practical experience for your audience. For a full description of the features and how to get started, go to THIS page. Once you have a few items, you can collate them into a collection and create a STORY. For a full explanation on how to create Stories and how to get started, go to THIS page. Shopping widgets for your posts can help you easily share your recommended items. Compared to text links, these widgets make it much easier to update, edit, and change items, add or remove affiliate links, and help your readers navigate your shoppable content, save items for later, and add them to their wish list. One of the biggest advantages is the option to add a review on the item’s page, where readers can comment and share their own experiences. For a full description on how to create and add this widget to your blog, go to THIS page. The following carousel is powered by VENNDY. By using VENNDY’s Plug-In, you can easily share on your site any recommendation or advice you think will help your readers to quickly shop for your latest finds. Just a click of a mouse and users will be directed to the full page of your recommendation and then redirected through your affiliate link, if there is one, to the original site of the item. Commerce-related content that you want to share and recommend to your followers can thus be easily uploaded onto your site. For a full description on how to add plug-ins, go to THIS page. We would love to learn more about your own challenges with monetization and the solutions that worked best for you. So feel free to comment below, share your experience and link to a relevant blog post with your insights whenever relevant.